Every 20 seconds, you are cursed with a new job to do, and if you don’t do it? YOU DIE. On the other hand? You’re REALLY hungry, and it’s right on the other side there? The question is? How Much Would YOU Do For Cake? 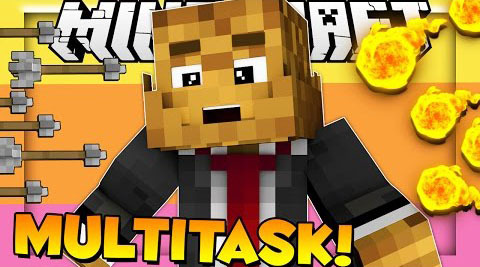 The Minecraft Multitask Challenge.